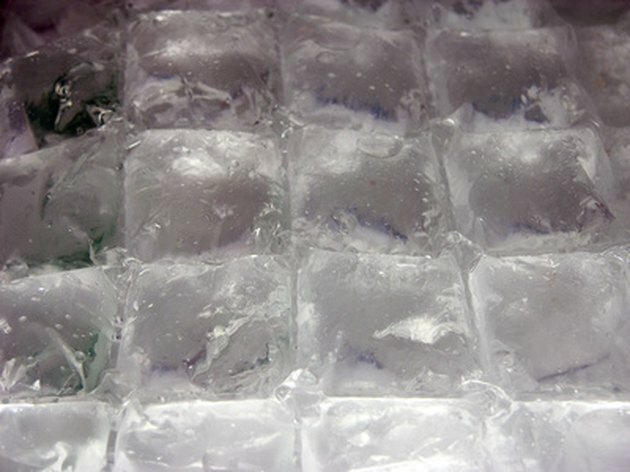 Ice makers are a convenient way to have ice readily available, whether a stand alone unit or in a refrigerator. Every now and again ice maker tubes may get buildup from water contaminants which can give ice an unpleasant taste and need to be cleaned out. An easy and effective way to get this done is by flushing the tubes. Unplug the refrigerator from the electrical supply to prevent shock hazards. Turn off the the supply lines water source. This is usually located under the kitchen sink. Water flows from the source through a supply line to the inlet valve behind the ice maker or refrigerator and another line that runs from the inlet valve to the ice maker. Detach the supply line from the inlet valve and place the end in a bucket. Turn the water supply on to completely flush out the line. When it is sufficiently clean, re-attach it to the inlet valve. 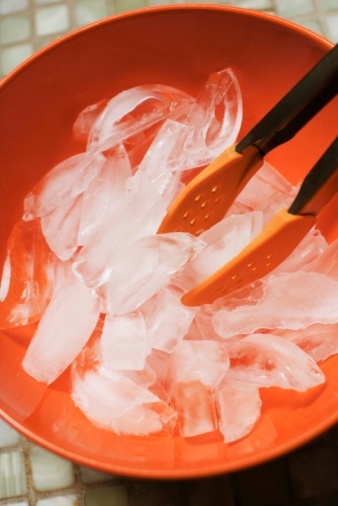 Detach the ice maker line from the inlet valve and allow any water to drain into the bucket. Remove any fasteners holding the line to the back of the freezer and remove the entire line. Hold the line in the sink and apply a few drops of dish soap into one end of the tube. Hold this end under the faucet and turn on the water to flush out the line until no lather or bubbles are visible. Re-attach any fasteners on the back end of the freezer to the line and replace the line to the inlet valve and make sure there are no leaks coming from the connections. James Idakula earned a B.A. in English from Emory University in Atlanta, Georgia. He has been contributing online content since 2008. His work appears on various websites, specializing in style, home and money.